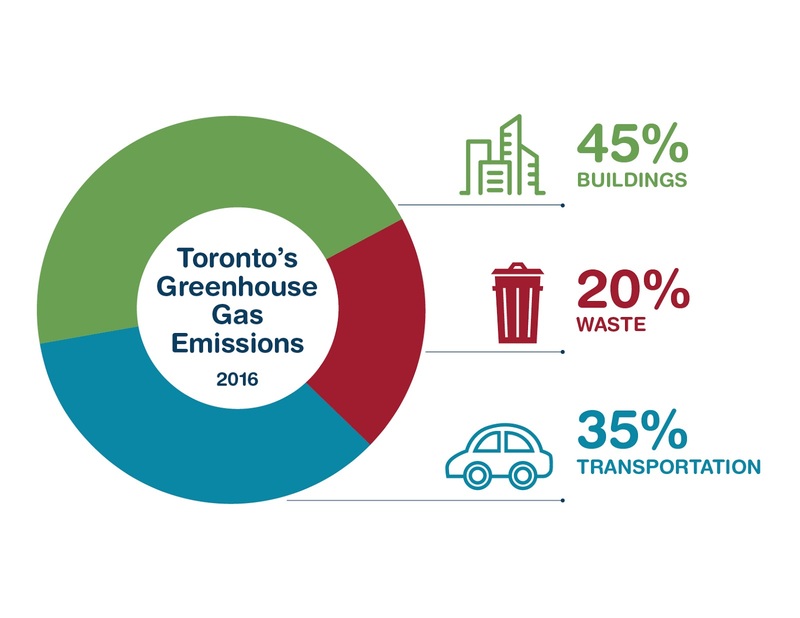 In February, the City of Toronto released its 2016greenhouse gas (GHG) emissions inventory showing that local GHG emissions were 33 per cent lower in 2016 than in 1990. The good news is, we're half-way to our 2030 target of a 65 per cent reduction. And, we have already exceeded our 2020 target of a 30 per cent reduction. The not-so-good news is that we’ve already taken many of the incremental, easy actions, so we've got a lot of work ahead of us. And, only 11 years to reach our next target. Read on to learn more about why counting GHG emissions matters and how it's done. What is a GHG inventory? A greenhouse gas inventory measures the emissions in a given city or region using data from energy use in buildings, vehicles, waste and industry. City staff use data from utility consumption in Toronto – electricity and natural gas bills – and add information about travel patterns and waste disposal to calculate the overall GHG emissions generated in Toronto in a calendar year. Inventories are released annually, however, it can take up to two years for data collection and verification, which is why the City’s 2016 inventory was just released. 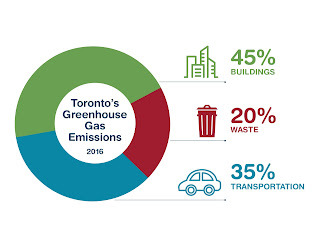 Toronto's GHG reporting follows the Greenhouse Gas Protocol for community-scale GHG inventories. Toronto's inventory is also shared via the C40 Cities Network, a network of the cities committed to addressing climate change. You can explore Toronto's data, and other cities, on the C40 website. What does Toronto’s inventory show? Major progress has been made towards Toronto's GHG goals with our 33 per cent reduction, but it's not all good news as much of the reduction came from the province ending coal-fired power generation, and many of the easier actions have already been taken. 45 per cent of GHG emissions in Toronto comes from homes and buildings, primarily from burning natural gas to heat indoor spaces and water, so making our homes and buildings energy efficient is a top priority. 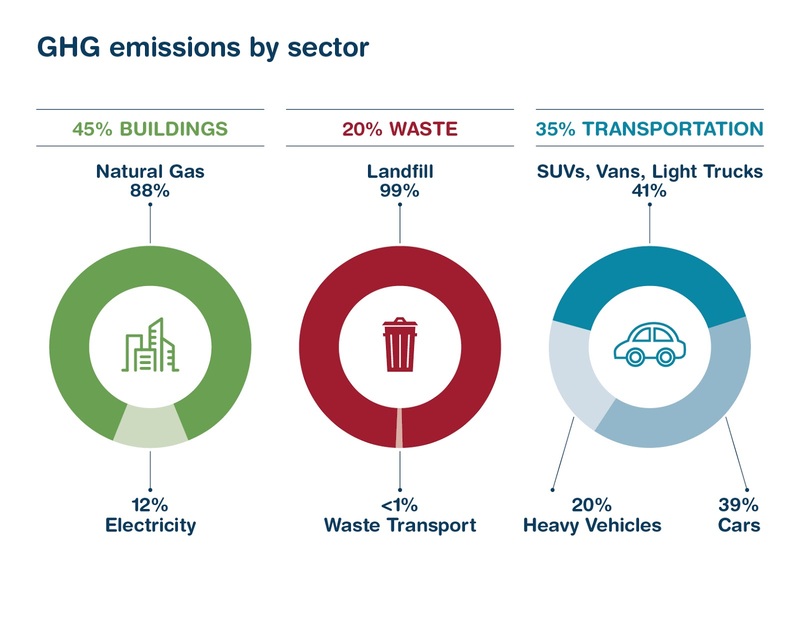 35 per cent of GHG emissions in Toronto are generated by transportation, with 80 per cent of that attributed to personal vehicles, so our daily choices about how we move around the city are critically important. 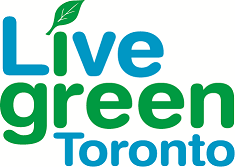 20 per cent of GHG emissions in Toronto are generated by waste, so recycling and composting are very important, but even more important is reducing the waste we generate. Is Toronto on the right track? Yes! According to this latest inventory, GHG emissions in Toronto are 33 per cent lower in 2016 than in 1990. TransformTO, which is Toronto's Climate Action Plan till 2050, lays out clear and specific goals and GHG reduction targets, based on 1990 levels. 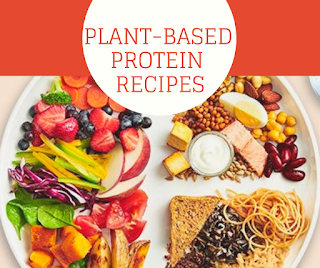 There is lots to be done! While great progress has been made, we need to transformhow we live, work, build and commute to continue to achieve our targets. 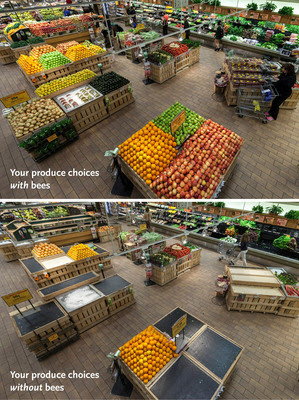 We can all play a part in reducing emissions. Learn about how we can #TransformTO together.